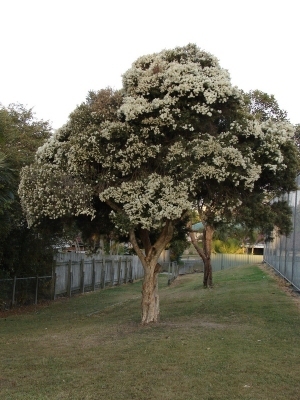 Flax-leaved paper-bark is an evergreen shrub growing to about 10 metres tall. The plant is harvested from the wild for local use as a medicine and source of essential oil. It is also sometimes grown as a hedge. Australia - Victoria, New South Wales, Queensland, South Australia, Northern Territory. Lassak. E. V. and McCarthy. T.
A very good and readable guide to the subject. ]. Grow the plants on for at least their first winter in a greenhouse and then plant them out in late spring or early summer, after the last expected frosts. Consider giving the plants some protection from the cold for their first few winters outdoors.